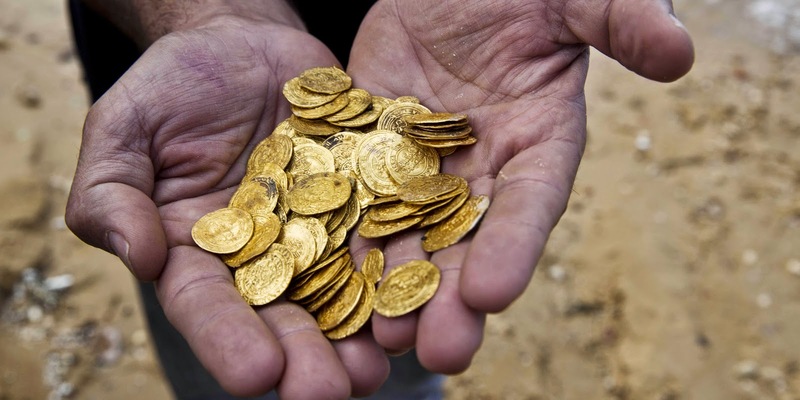 The treasure found in the harbour of Caesarea – Israeli city in the Mediterranean coast – consisted on gold coins with more than one thousand years of antiquity and had a gross weight of about 9 kilograms. 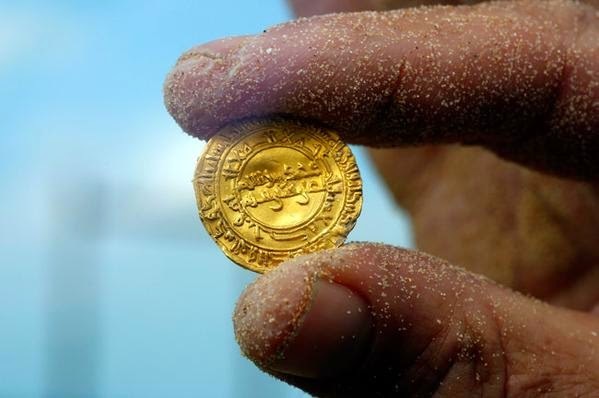 The divers who found the gold coins did not understand at first the value of the find even thinking that they were counters from a board game. But when they understood the possible value of the find, they reported it to the director of the diving club. Nevertheless, it is hard to say that the Israeli divers have been lucky. Though the treasure is worth a fortune and totals about 2000 gold coins, all of them will be confiscated by the state. The experts who arrived at the place revealed the origin of the coins, being most of them from North Africa, Sicily and a part from Middle East. As Kobi Sharvit, director of the marine archaeology unit, explained that it could be a remain of a shipwreck during the 10th Century. The department of antiquities of Israel haven't specified the approximate cost of this find, declaring that the coins "are so valuable that they are invaluable". Sharvit told that probably winter storms moved the treasure to a visible place and the area will be further investigated in hopes to find the sunk ship. Everyone who seeks finds. Those who strive for a dream will always be several steps closer to it than those who stand still. Gold is your faithful companion on the way to the future you dream of. Together with this precious metal and Emgoldex company, your wish to find a valuable treasure becomes a reality!